The Medic One fundraising committee are in the process of organising a few events to raise some funds throughout the year. Click the links below for further details on upcoming events. The Medic One Trust will be hosting a Summer Fair. It will be combined with the launch of Ed Caesar's "Two Hours - The Quest to the Impossible Marathon." The Medic 1 Ball returns this fall. Tickets will go on sale 1st August 2014. 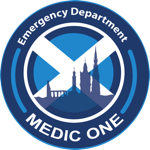 We will be running the Aviemore Half-Marathon in aid of Medic 1. Dr Simon Bagley plans to climb to the summit of Mount Kilimanjaro in Tanzania to raise funds for the Medic One Trust. This summer Fenella Ritson took part in a cycling challenge to raise funds for Medic 1. She has raised £1913.50 so far.